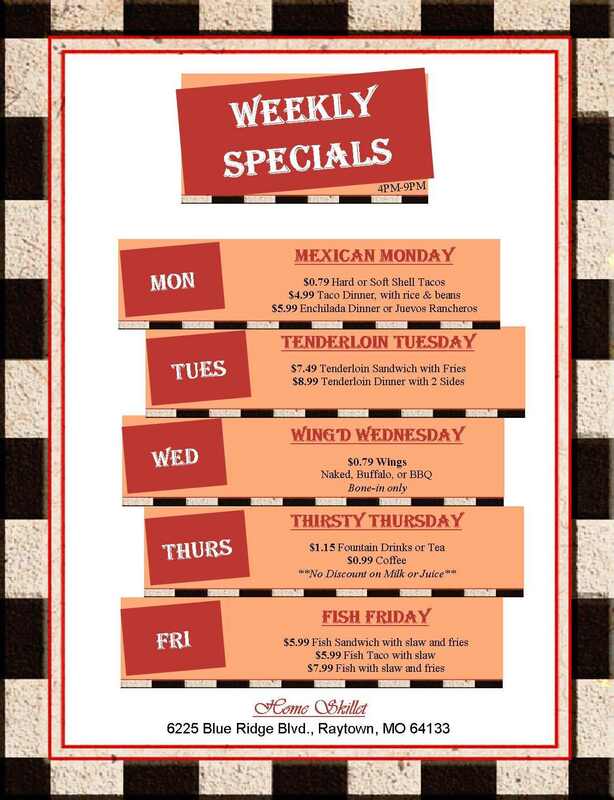 Every Tuesday is Taco Night at Ricon Tarasco. That means tacos are only $1.25 each. Your choices are chicken, Steak (carne Asada), Shredded Pork slow cooked and marinated Cochinito Pibil), and Al Pastor (also marinated, but in different spices and not slow cooked). Tacos Al Pastor has been my favorite for years, until I tried Cochinita Pibil, now it is a toss-up. The pastor is a little spicier, but the Cochinita is more tender and has a hint of orange to it. Cochinita comes from the Yucatan region of Mexico and is marinated in sour orange juice and achiote. I use to have to drive to SouthWest Blvd. or Independence Ave. to get Mexican food this authentic. It is a little milder than I am use to but they can offer you a large variety of salsa if you feel the need to punch it up a notch or two. 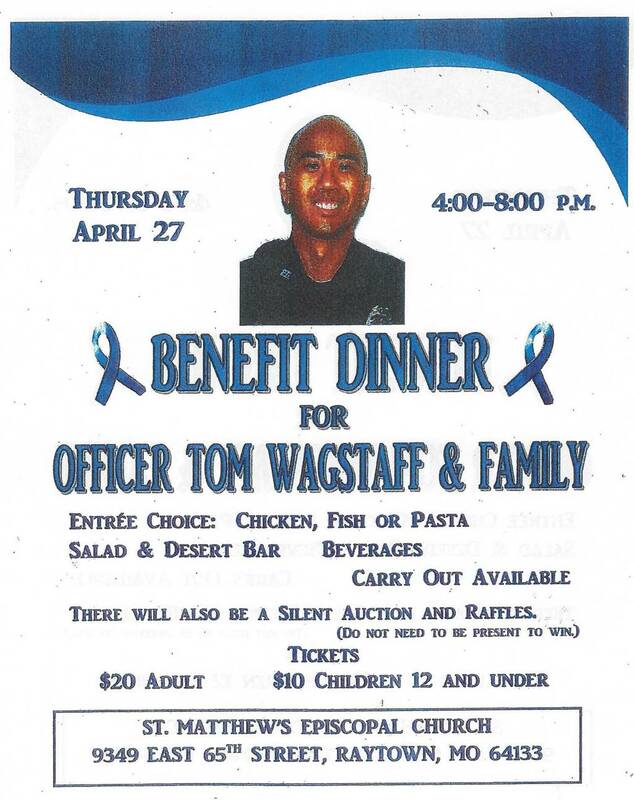 The restaurant is located on the South West corner of Raytown Road and 350 Highway. Just South of the grocery store. They offer carry out and the phone number is 886-5444. 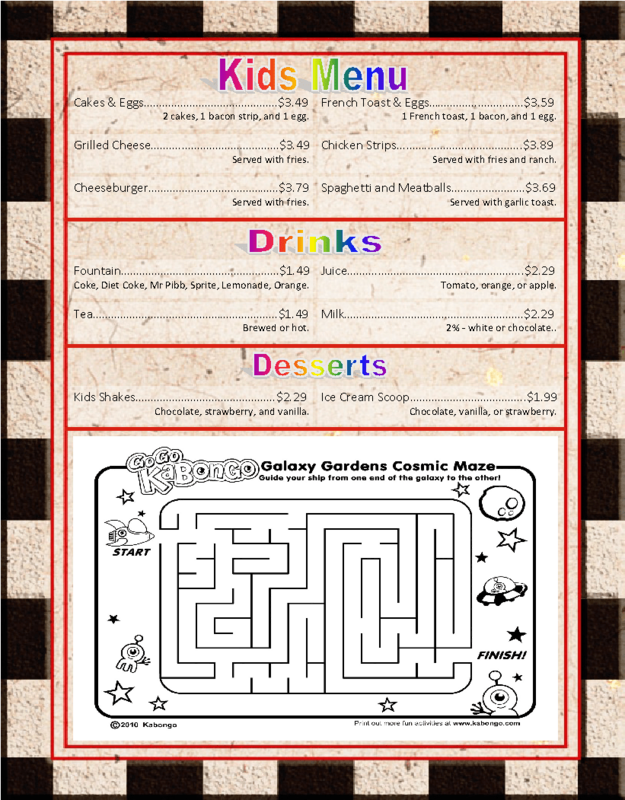 Below is scans of the menu. 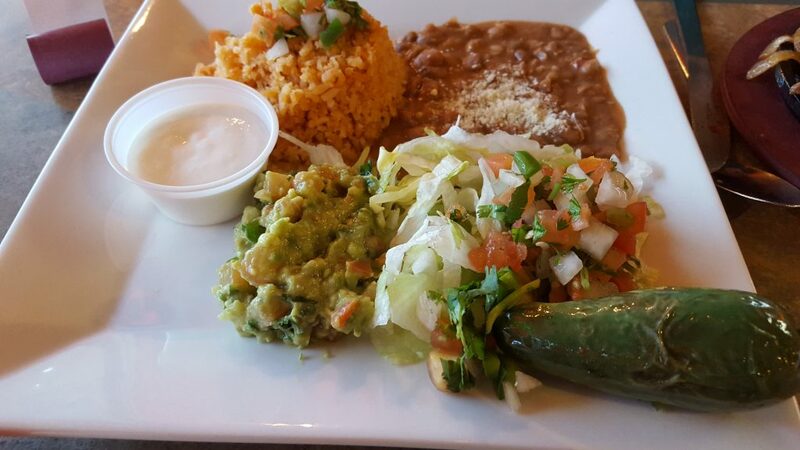 Rincon Tarasco is the newest addition to Mexican dinning in Raytown and is an excellent addition. The food is not Tex-Mex, it hails from the Michoacan region. Two of my favorite dishes are on the menu, tacos al pastor and chicken mole. The tacos al pastor I ordered were excellent. Next visit I will try the chicken mole. The chips served as an appetizer we homemade from flour, not corn and were fresh and warm.The mild dipping sauce was mild and very nice, but as there was not a hint of tomato in it, I call it a sauce and not salsa. Be warned that the hot salsa choice is red and at the top range of my palate’s heat comfort, and I eat jalapenos like candy. 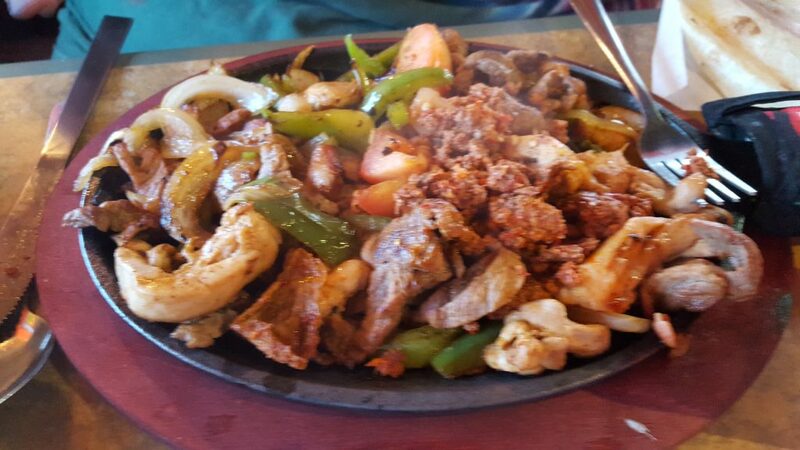 While delicious, the tacos al pastor and the mixed fajitas my wife ordered were very mild and may need to be enhanced for those who prefer a few beads of sweat on the forehead to feel satisfied. 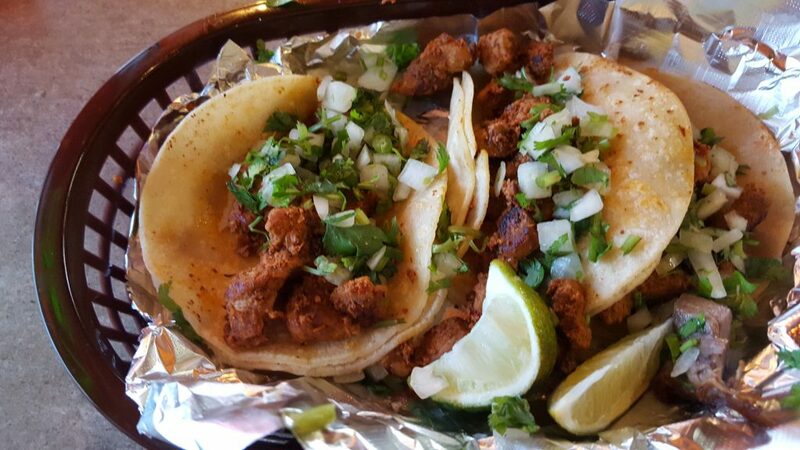 Bottom line is this new addition is worth a try if you want to go beyond hamburger tacos. 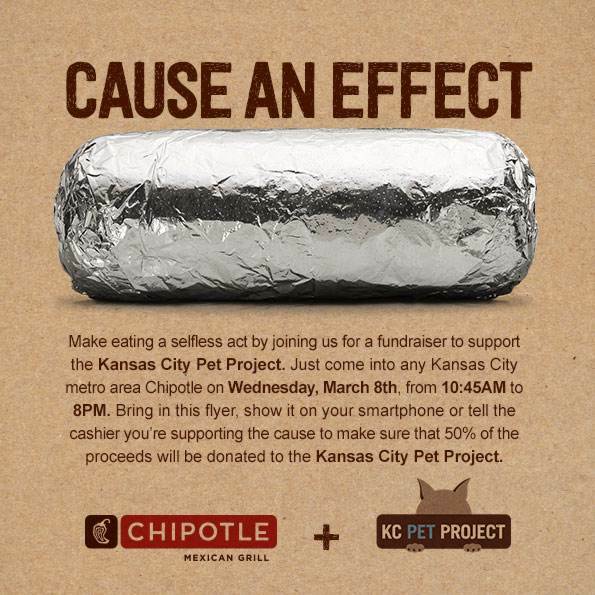 March 8, half of all fundraiser sales from Kansas City Chipotle Mexican Grill restaurants will benefit the KC Pet Project, the largest no-kill animal shelter in Kansas City, caring for almost 10,000 pets a year. The national weather service has issued a severe thunderstorm watch until 5am Wednesday for Jackson County. Editors note: The “last Thursday” refered to was not yesterday, but a week before. The Raytown Farmers’ Market opened this past Thursday at 6210 Raytown Road across from the green space. There were over 50 people who attended the opening. Due to the weather the past several months, the produce was limited but was of high quality. There were several types of lettuce as well as onions and radishes. There were a large number of potted vegetables and herbs that were ready for planting. The chocolate mint thyme was a big hit. Saturday was another great day for the Market. There were over 100 people who visited the Market and purchased produce (vegetables and herbs) and other items. Both days, the vendors sold produce as well as plants, baked goods, table accessories, aprons, blankets and flowers. They included Stony Crest Urban Farm, Sister Friends Specialties, Emmanuel Kip’s Garden, Apron Strings and Other Things. There were downpours both days which didn’t last too long, just enough to make everyone hurry under the tents. On Thursday, the Butterfly Lady, Terry Shepherd from the Butterfly Fields Nursery taught in the children’s area. She showed the children the caterpillar she was growing amidst ferns and other plants and explained the cycle of growth. Each child received a prismatic butterfly to take home. On Saturday, the librarians for the Raytown Mid-Continent Library showed the children how to make tie-dyed flowers. Each child decorated their flowers using their imagination. On Thursday, Frank Rardon entertained the crowd with his music from the 60s and 70s. On Saturday, Daryl Jones’ salad making demonstration produced a wonderful salad from produce purchased at the market. As the weather gets warmer, there will be many more vendors and a much larger selection for the people attending the Market. There were many positive comments. The people were very pleased that Raytown residents now had their own Farmers’ Market. The Raytown Farmers’ Market is a grower/producer only market. 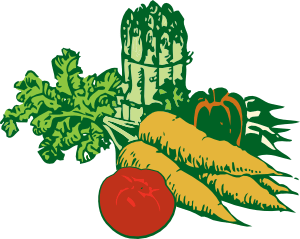 All food is grown locally (within a 120 mile radius of the center of Raytown), and the person they are purchasing the produce or product from is the person who grew or made. Eat local, eat fresh and support your local economy. Raytown Main Street Association would like to announce that it is postponing the opening of Raytown Farmers’ Market until Thursday, May 29. In order to ensure a quality market we have decided to move the date to allow more growing time since many of our vendors do not have sufficient cool weather crops to bring to market. We would also like to announce our new Community tents These will allow for multiple small farmers to share a space under one tent for a nominal fee. We have listened to feedback from smaller farmers and have taken their input into consideration. We hope to see many more applications for these spots. They are available on a first come first serve basis. Thank you for your support of the Raytown Farmers Market as we continue to grow. 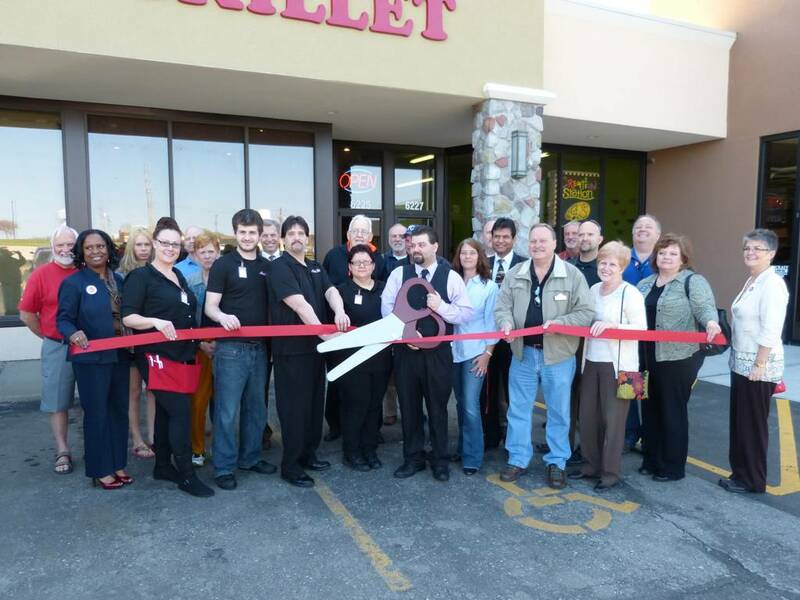 Home Skillet located at 6225 Blue Ridge Blvd (Raytown Plaza), 816-503-9146, opened in February and celebrated their 60 day anniversary with a ribbon cutting. 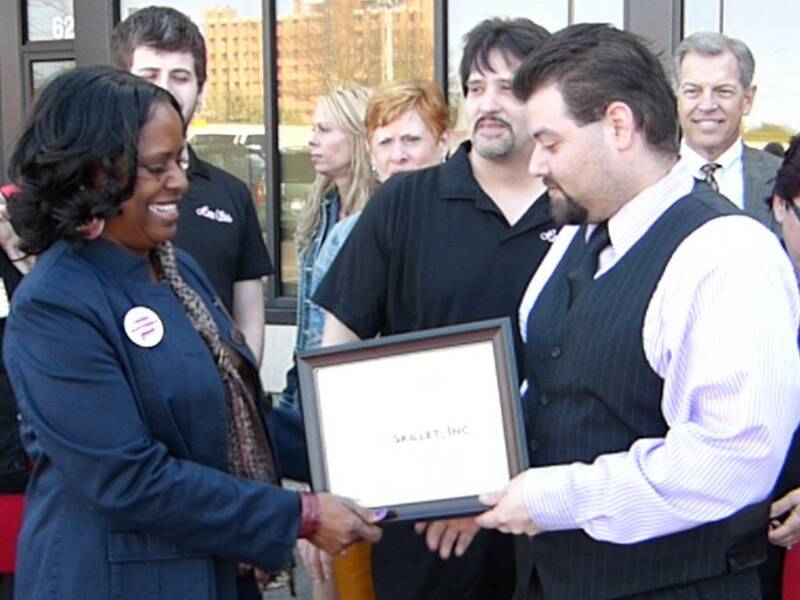 Chair of the Board Loretha Hayden presented Joshua Bennett a plaque and Mayor ProTem Bill Vanbuskirk provided greetings from the Mayor, Board of Aldermen and the City of Raytown. The Home Skillet has a new menu, hours and smoking policy. Their new hours are 8am to 9pm. The restaurant is now none smoking, due to under-utilization of the smoking section. Too many non-smokers had to wait for a table, while tables were empty in the smoking section. 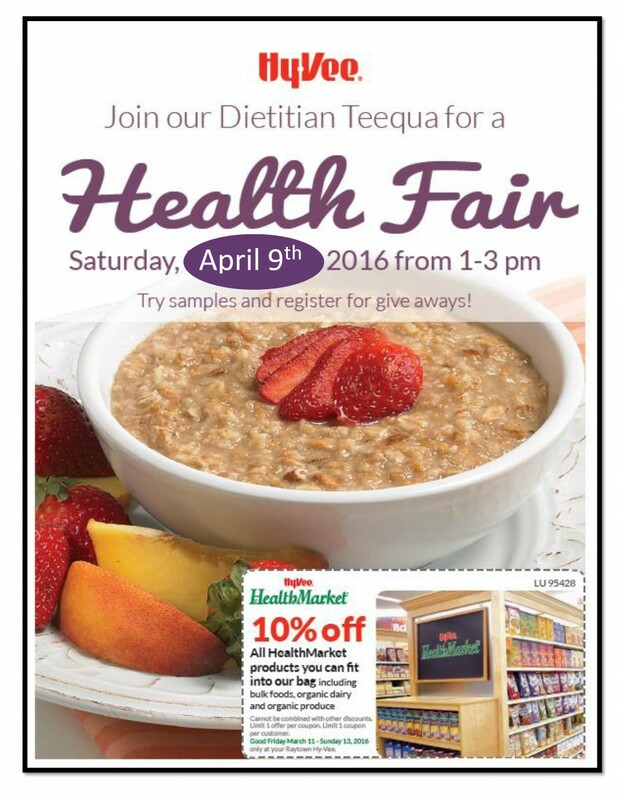 The new menu and coupons are shown below. 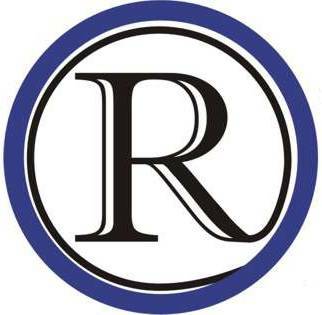 Raytown South High School will be kicking off its 50th year celebration with a Pancake Breakfast on March 29th at RSHS cafe from 8:00 am to 11:00 am. 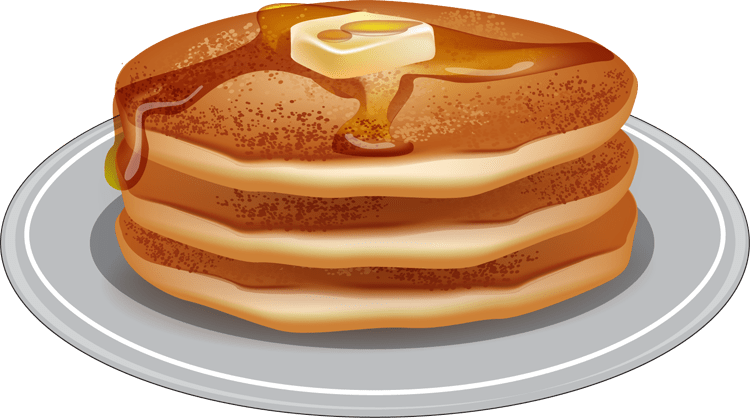 All you care to eat pancakes, sausage, orange drink and coffee for $4.00. We will also have spirit wear for sale along with a raffle. 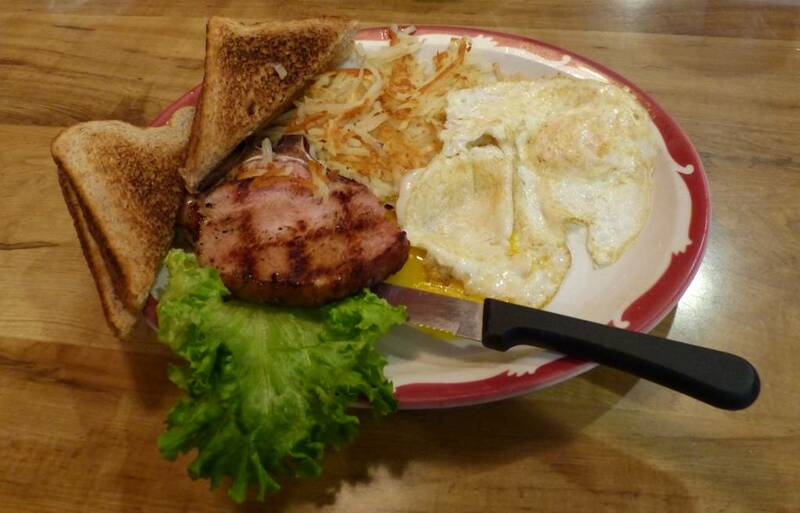 A nice sized smoked pork chop with eggs, toast and hash browns. Everything was perfect. The Home Skillet opened today at 6:00 am. Mayor Bower dropped by at 9:00 am for a late breakfast and RaytownOnline.com dropped by at 11:30 for a slightly early lunch. The sandwich was very good and the very good part was the meatballs. Larger than most and without the cheap filler that makes some of the fast food chains products seem mushy. Service was good, even though the staff worked all night to insure they could open as promised. The crowd was good, with only one empty booth, but there was no waiting for a table at 12:30 pm, which is the busiest time for most restaurants. The video shows the crowd and has one of the shortest customer reviews possible. 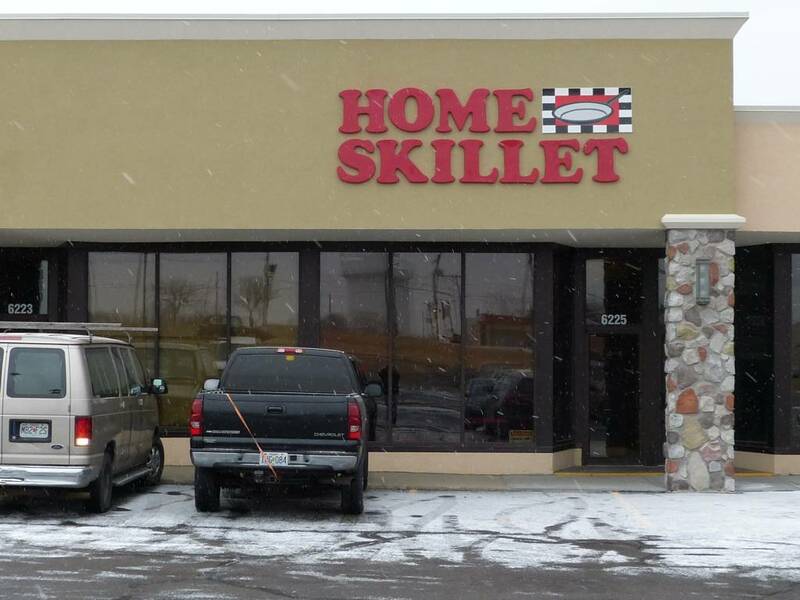 The Home Skillet restaurant is scheduled to open Monday morning February 17th. Here is a peek at the staff before opening. 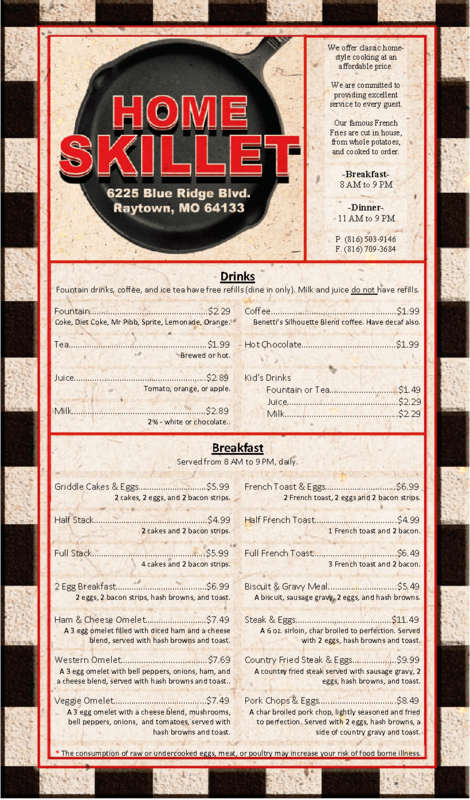 The Home Skillet is located on the East side of Blue Ridge Blvd, just 1/2 block North of 63rd Street. A new restaurant is about two weeks from opening in Raytown. The Home Skillet is located on the East side of Blue Ridge Blvd, just 1/2 block North of 63rd Street. The layout of the location is very similar to the previous 5K restaurant at that location. The main difference is that the previous office in the back has been converted to an isolated smoking section, resulting in about 35% more seating. 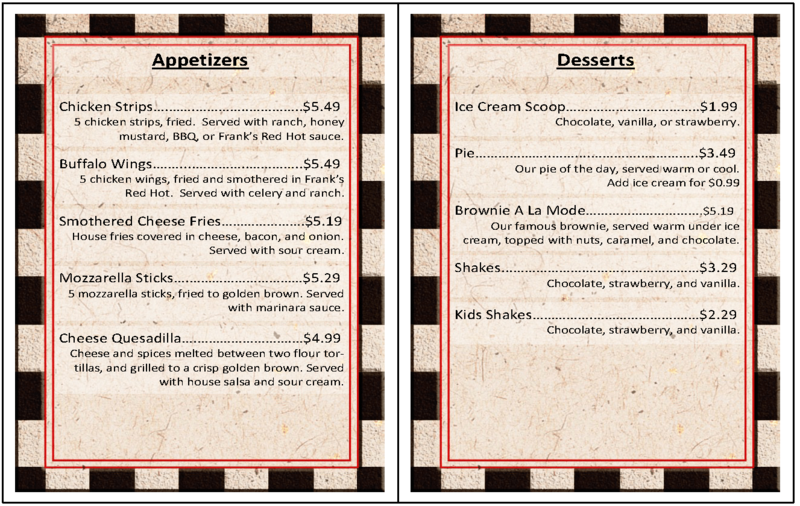 The menu selection are mainly home style comfort food. 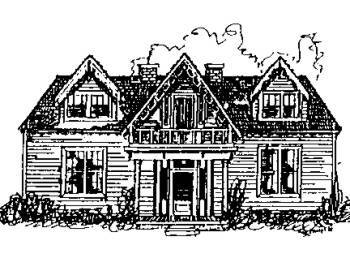 Click HERE to view the proposed menu the owners are considering. Cuzzins is gone, the new establishment is calls Stumbles. The bad news is that the decor is still 70s local bar. The good news is the food is very very good and the beer selection is large for a operation this size. The pork tender was excellent as were the sweet potato fries and the slaw was good. Nice crunchy breading over a thick moist large pork loin, crisp large sweet potato fries, which are best eaten quickly as all sweet potato fires tend too loose the crisp faster than plain potato fries, and a coleslaw that was homemade and neither sweet or sour, with a dressing more ranch like in nature with celery seeds. The hamburger was described to me by my luncheon companion as very good. The only down note was that the size of the tender was way to large for the bun and the bun was not any better than burger chain quality. The menu is slightly more exotic than old school bar. Your normal appetizer fair has mini tacos and hummus added to the more common potato skins and other common choices. The only unusual sandwich is a gyro. 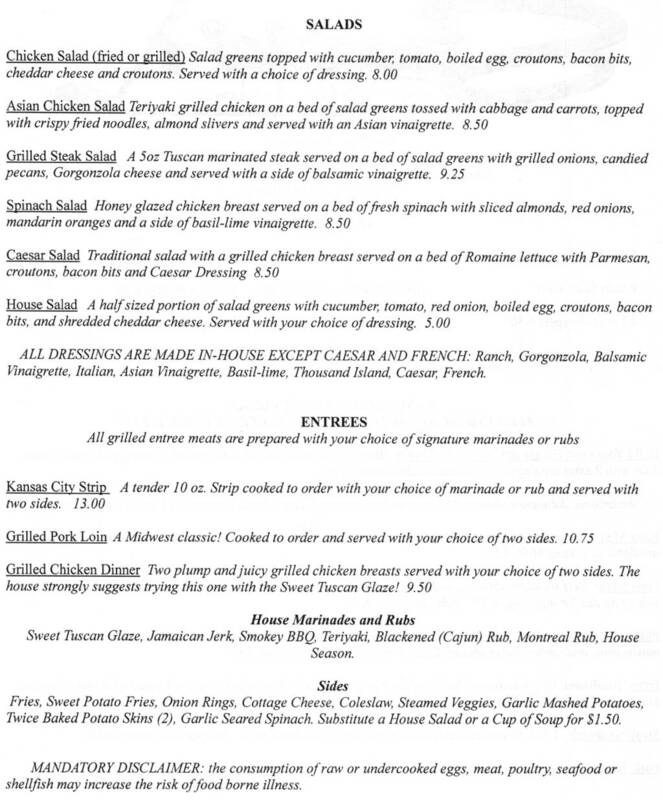 Stumbles does seem to have a large salad selection, with 6 meal class salads like grilled steak and asian chicken. 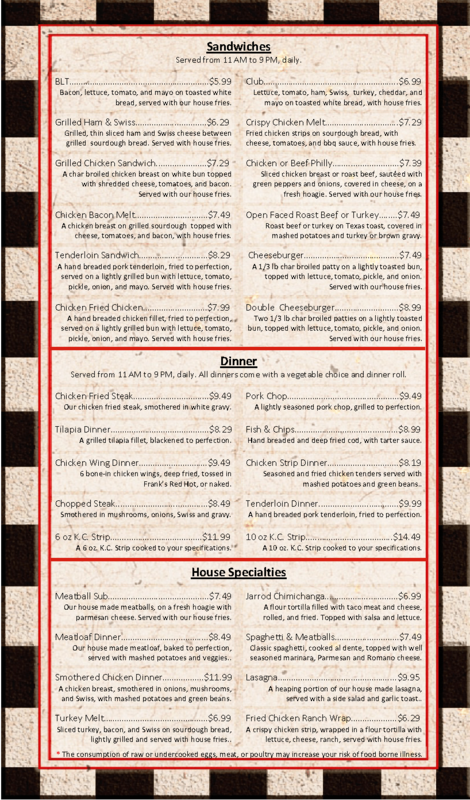 The main entrees are the standard steak, grilled pork loin, and grilled chicken. Click HERE for page 1 of the menu and click HERE for page 2. 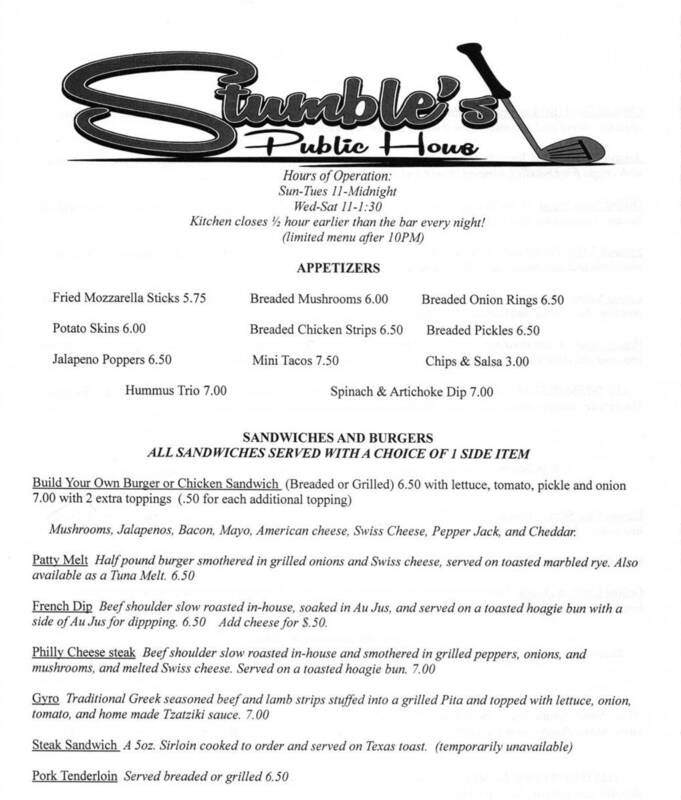 Stumbles is located on 350 Highway, just East of Quick Trip and across the street from Church’s Chicken. Click on a picture once to see it in medium detail. Click on it again to see it in full detail. 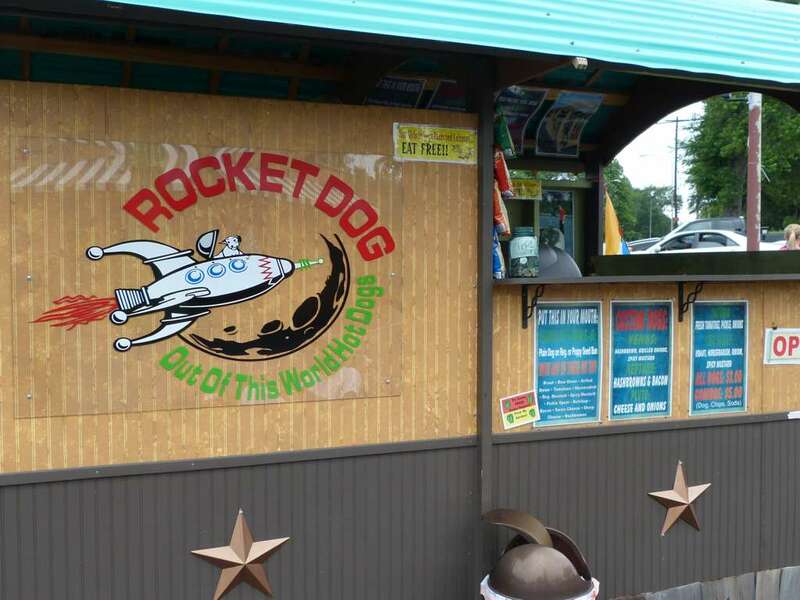 Rocket Dog is a hotdog stand on the Northeast corner of Raytown Road and 95th Street. The hotdogs are Nathans on plain or Chicago style poppyseed buns. Above is a Neptune Dog (hashbrown potatoes and bacon) with some spicy musturd added and it is a mighty fine combination. I had to have two to make sure it was not just hunger that made the first one taste so good. Sorry for die hard Chicago fans, but there are no Vienna dogs, sports peppers, or neon green relish. There are a huge number of choices to customize your dog, just not those three. 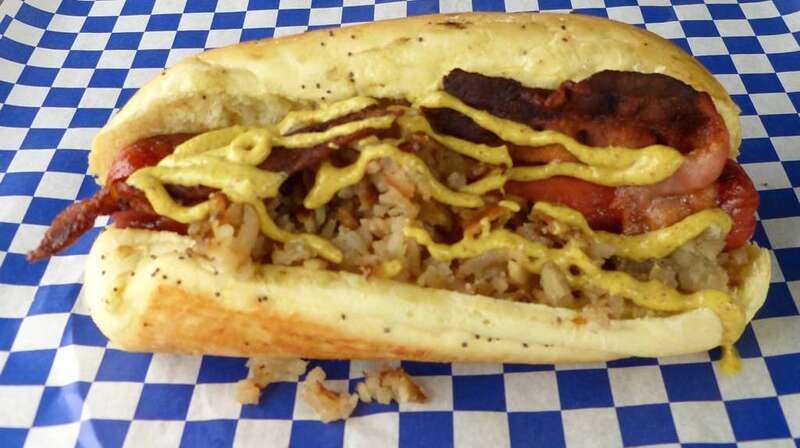 The dogs are big, grilled and cost $3.00 each or $5.00 with a drink and chips. The picture shows my second dog, as I just didn’t take time to snap a shot of my first one.